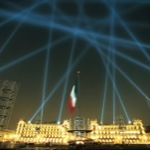 Rafael Lozano-Hemmer - Project "Vectorial Elevation"
"Vectorial Elevation" is an interactive art project originally designed to celebrate the arrival of the year 2000 in Mexico City's Zócalo Square. 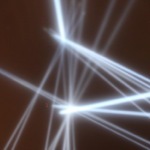 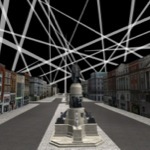 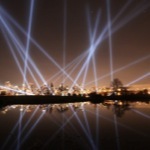 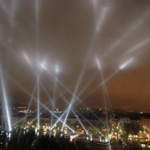 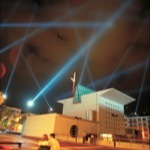 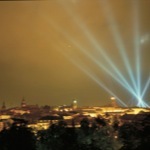 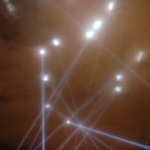 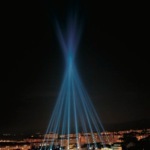 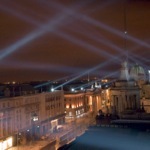 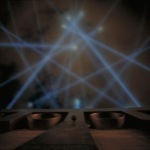 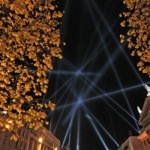 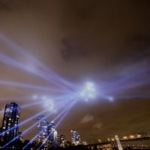 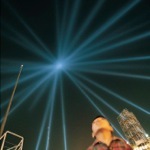 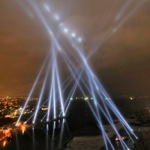 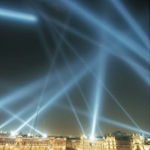 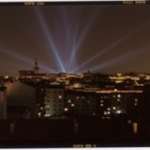 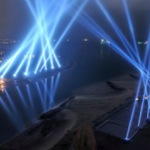 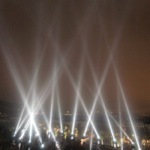 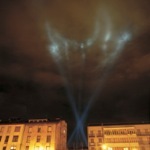 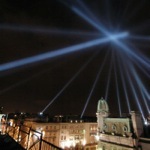 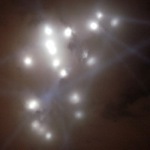 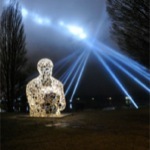 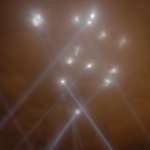 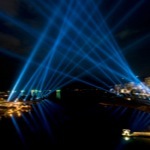 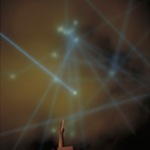 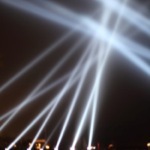 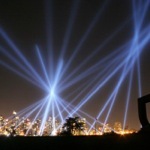 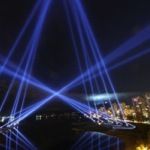 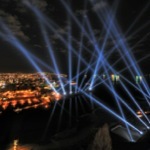 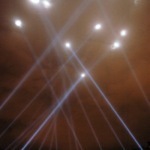 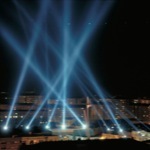 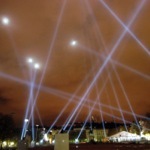 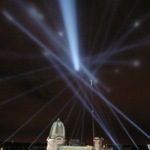 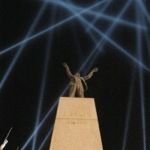 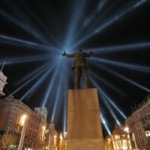 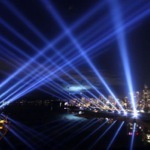 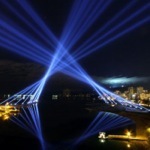 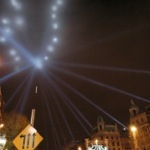 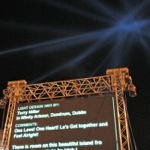 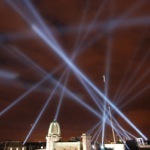 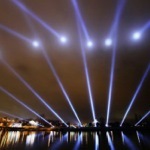 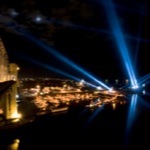 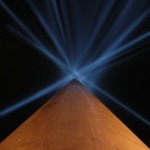 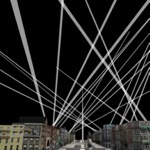 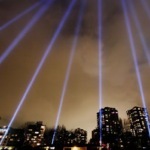 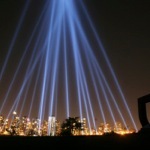 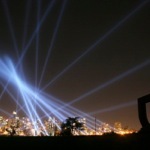 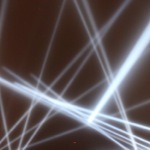 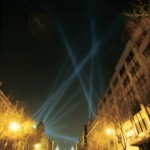 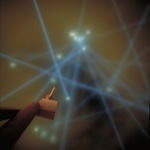 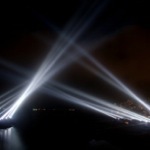 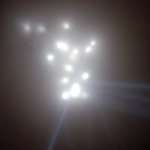 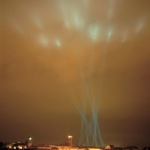 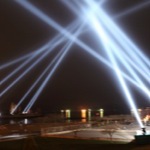 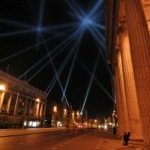 The website www.alzado.net enabled any Internet user to design light sculptures over the city's historic centre, with eighteen searchlights positioned around the square. 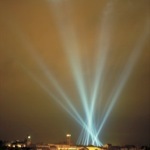 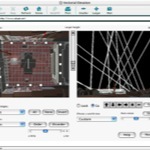 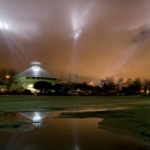 These searchlights, whose powerful beams could be seen within a 15 kilometers radius, were controlled by an online 3D simulation program and visualised by digital cameras. 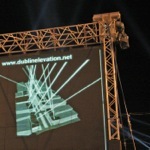 A personalised webpage was produced for every participant with images of their design and information such as their name, dedication, place of access and comments. 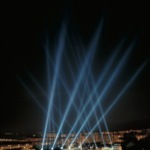 These web pages were completely uncensored, allowing participants to leave a wide variety of messages, including love poems, football scores, Zapatistaslogans and twenty-seven marriage proposals. 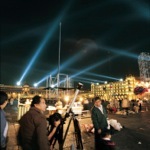 In Mexico, the project attracted 800,000 participants from 89 countries over the course of its two-week duration. 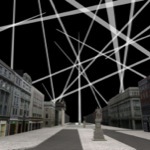 Vectorial Elevation alludes to Sol LeWitt's "art of instructions" as well as László Moholy-Nagy's paintings by telephone in 1922. 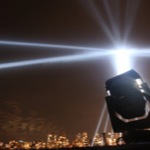 Another precedent was the teleoperation of the Lindbergh searchlight in Los Angeles in 1928, activated when President Coolidge pressed a telegraph key at his desk at the White House. 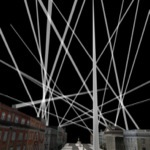 Keywords: interactive, recorder, outdoor, robotic, networked, lights. 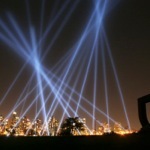 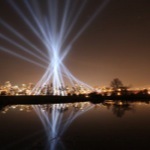 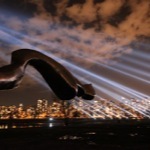 Vectorial Elevation, Cultural Olympiad, English Bay, Vancouver, British Columbia, Canada, 2010. 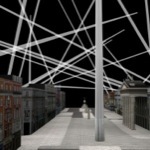 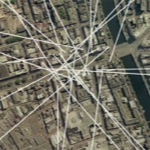 Vectorial Elevation, celebrations of Europe expansion, O'Connell Street, Dublin, Ireland, 2004. 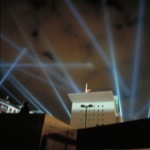 Vectorial Elevation, Fête des Lumières, Place Bellecour, Lyon, France, 2003. 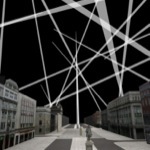 Vectorial Elevation, Opening project of Artium, Basque Contemporary Art Museum, Vitoria-Gasteiz, Spain, 2002. 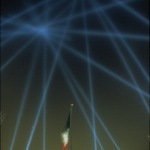 Vectorial Elevation, Zócalo Square, Mexico City, México, 1999 - 2000.